Do you have a business and you are into constant improvement? Great! 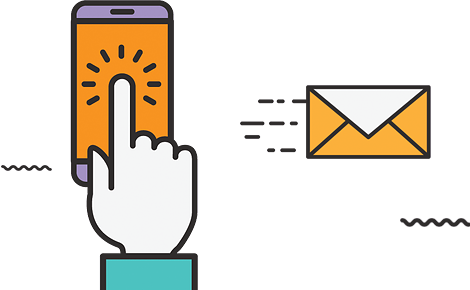 Have you read our previous articles regarding email marketing campaigns and you thought it might be a good idea for your line of business as well? What does this mean? It means that people that get onto your site simply bounce off before you had the change to convert them. This might be a direct reflection of the fact that the visitors that wander to your site do not have a good user experience or the strategy you use does not attract the right kind of visitors. First of all, try to focus on simplicity, don’t make your site extra pompous rather make it easy for the user to find what he is looking for. Although at first you might be reluctant to use one, studies show that it does not, in fact, affect the bounce rates. Therefore, you can bravely try out one to catch the email addresses of your users. You can use a so called lightbox pop-up, meaning that the background behind it is blurred out. This means the user will have to enter his email address (if he wishes) in order to subscribe to a newsletter, for instance. Offering something, no matter how small, works better than offering nothing. And keep in mind that we live in the era of technology, hence eBooks are widely appreciated. You can try offering an eBook and see for yourself the conversion rates. As I already mentioned above, we live in a fast moving era, when people no longer have the patience, or the time to wait for things to happen. And especially when we are looking for some sort of information and we enter a webpage that just keeps loading and loading. The chances we abandon it are rather high. And it’s not just that it makes people bounce off, but you can also risk penalties in search rankings from Google. So optimize your page speed loading time. Offer a special content for those who subscribe. This can be motivating if the people are interested in what your site has to offer in the first place. Don’t keep all of the good stuff for the exclusive users only. You have to convince them it is worth subscribing for more. Keep in mind that having more than one place where visitors can subscribe is not pushy, it’s just more visible. If you only have one single place you risk certain visitors never to see it or never to give it a second thought. And here I don’t mean go out more often. Just think about how social media platforms gained field lately and they still continue to do so. You can share your content, services and make them popular on social media as well. It’s way easier to connect with people there and answer possible queries. All these being said, let us know if you tried some other methods to increase your number of subscribers. Let us know what worked the best for you and out of the above tips which one you prefer or find the most significant. Let’s learn how to create worthwhile business together! E-commerce and the world of mobile phones – the future of marketing?